The TRAT has been created to help assessors to take available information and data and to process it in a standardized manner to analyze a country’s readiness for, and risks of, transition from donor funding to sustainable domestic financing. This process also helps assessors to identify key barriers that must be addressed before sustainable transition is possible. The TRAT may be applied in advance of the development of a country Transition Plan to help to structure its content as well as at the stages of implementation of the Transition Plan, and may be re-administered periodically to help analyze the ongoing process of transition, as well as to capture both its positive and negative consequences. This version of the tool focuses specifically on assessing the sustainability of harm reduction services through and beyond the transition period. The consortium of EECA regional community networks is looking for the Monitoring and Evaluation (M&E) Expert familiar with the Global Fund M&E requirements to join the team in preparing a multi-country advocacy and capacity building proposal. The expected date of start of the contract is March 1, 2018. Deadline for providing all deliverables – 20th of April, 2018. Please see ME consultant ToR for more information. If you are interested in cooperation with EHRA on the subject, please send your C.V. and daily rate to info@harmreductioneurasia.org no later than 26/02/2018 11:59 pm. This brief provides three case studies of the transition to domestic financing of HIV response in South Eastern Europe after the withdrawal of the Global Fund to Fight AIDS, Tuberculosis and Malaria. These case studies—of Macedonia, Montenegro, and Serbia—are intended as a resource for funders, advocates, and policymakers interested in supporting civil society-led efforts and partnerships with government to ensure the sustainability of services during and after transition. Eurasian Harm Reduction Association is looking for WordPress developers to work with two existing WordPress websites. This includes introducing new functionality as well as existing functionality modification. Both websites are running on WordPress and shall be finished by 15th of March, 2018. The content of the websites shall be intact and work not interrupted. Providing examples of similar work will be an advantage. Please send your application to Irena Zubkova at irena@harmreductioneurasia.org by 25th of February, 2018. 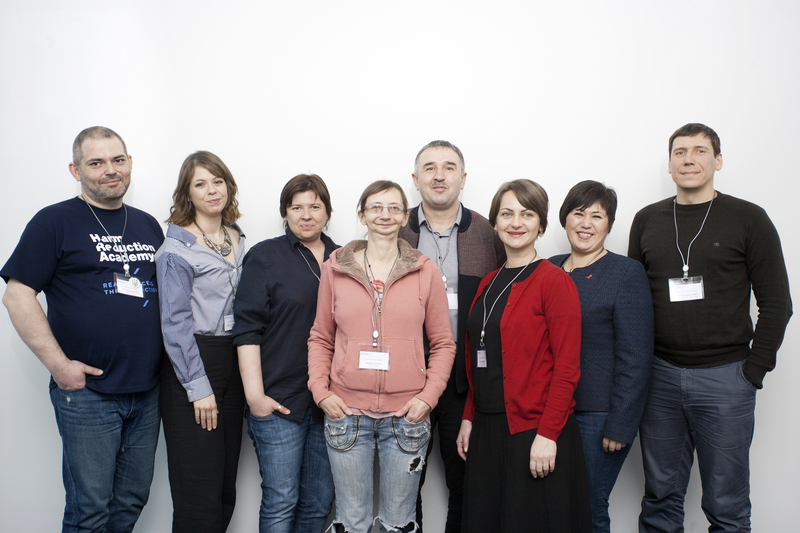 On 13-14 February, the Eurasian Harm Reduction Association (EHRA) held an annual meeting of the Steering Committee in Vilnius (Lithuania). This meeting has a particular importance, since it was the first one in the history of the organization. What’s more, a great significance of this meeting is the new membership of the Steering Committee – according to the results of the regional online meeting in January 2018, the new representatives are elected in the Baltic countries (Jurgita Poškevičiūtė), Belarus-Ukraine-Moldova (Vitalii Lavryk), Central Asia (Oxana Ibragimova), Central Europe (David Pešek), South-Eastern Europe (Yuliya Georgieva) regions. “I’m honored to be elected. For me this is an opportunity to engage in regional processes more actively. Especially concerning the issues of harm reduction and drug policy in those European countries who are EU member states and formally considered high income Northern countries (such as Lithuania and other Baltic states) but whose HIV epidemiological situation and a pitifully poor access to health and social services for people who use drugs is much more similar to the Eastern Europe and Central Asia,” says Jurgita Poškevičiūtė, Director of Administration “I Can Live Coalition” (Vilnius, Lithuania) and the new elected member of the Steering Committee representing Baltic countries region. The two-day meeting is based on the analysis and results of the Association’s work in 2017 (financial and program reporting), further perspective of organization’s activity, discussions of the management processes and operational management of the EHRA’s Secretariat. As a result, the Committee extended the powers of Leonid Vlasenko as Chairman and Nino Tsereteli as co-chair until August 2018. In 2018, there will be re-elections of several more members of the Steering Committee, including from the community of people who use drugs. The terms of reference for the Treasurer was approved as well as the Regulations of the Advisory Board – two new governance bodies for organization. The Treasurer will monitor the financial health of the Association, and the Advisory Board, composed of high-level international experts, will help to advance the Association’s interests and objectives at the regional and international levels. Jurgita Poškevičiūtė was chosen as The Treasurer of the Steering Committee, and as for the members of the Advisory Board, they will have to be invited from all over the world. There are lots of plans for EHRA in 2018 – participation in international conferences and various committees and groups. But the main thing now is the work on a multi-country application to the Global Fund in consortium with other regional communities networks and participation in the call for proposals. Please send your application to Irena Zubkova at irena@harmreductioneurasia.org by 20th of February, 2018.